Winter is op pad. Wat beteken dit vir die eiendommseienaar? 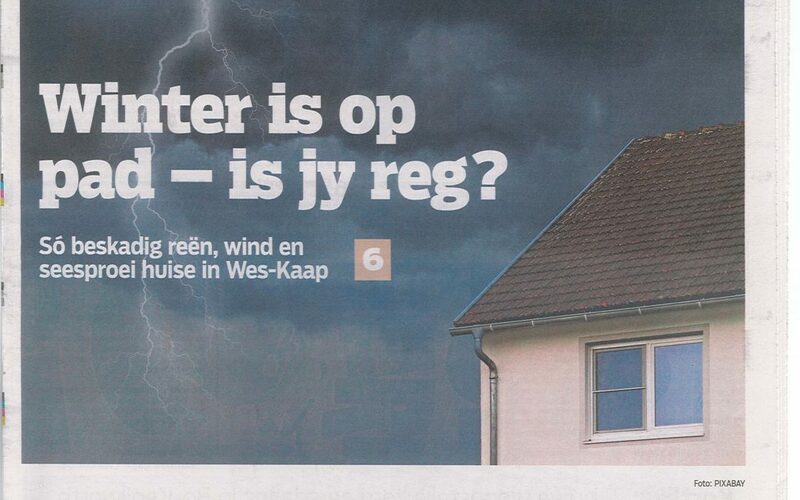 Winter is approaching, what does this mean for the building and home owner? Indawo in the media again. Indawo is proud of its recognition by the media as a first choice contractor for building refurbishment. 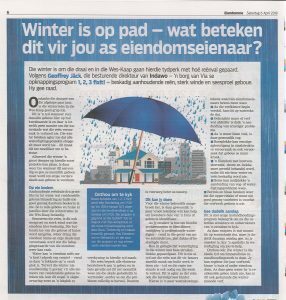 Winter is approaching and here we provide expert tips on how to deal with the winter rain.